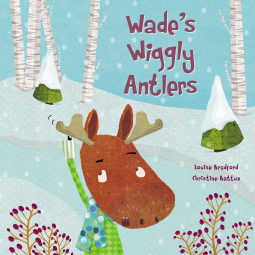 Wade is a young moose who discovers one morning that his antlers are “wiggly”. He is very worried about his antlers falling off because he uses them for so many different things, so he decides to try to stop his antlers from falling off. In the end, Wade has to learn to accept that he is growing up and that with growing up comes change. He also realizes that change just might not be so bad after all. 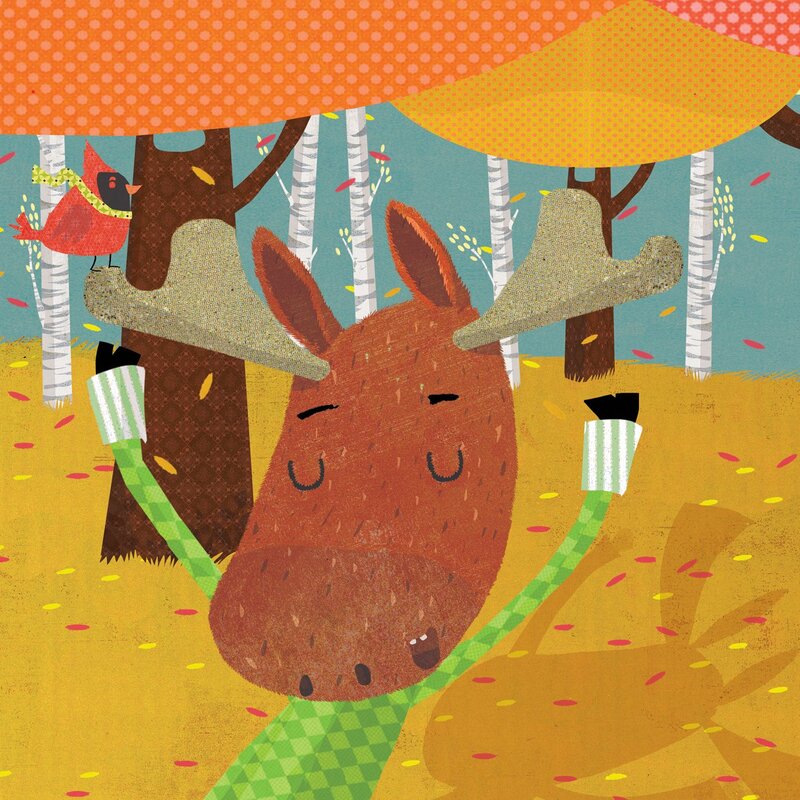 The illustrations in this children’s book are simply adorable. I love how the different animals are depicted and that they are not so stylized as to be unrecognizable which I see all too often in children’s books. There is also a message found in this story that is something every child needs to learn and that is that change is inevitable and that it is not necessarily a bad thing. Thank you to Netgalley for providing me with a free ARC (Advance Review Copy) copy of this book. LOUISE BRADFORD loves to spend time outdoors and in the woods. She wrote this story after spotting a young moose (similar to Wade) on a camping trip at LAKE SUPERIOR PROVINCIAL PARK. Louise’s other stories have been produced by CBC RADIO and CBC TELEVISION. She lives in Ottawa, Ontario, Canada where she writes speeches for grown-ups. 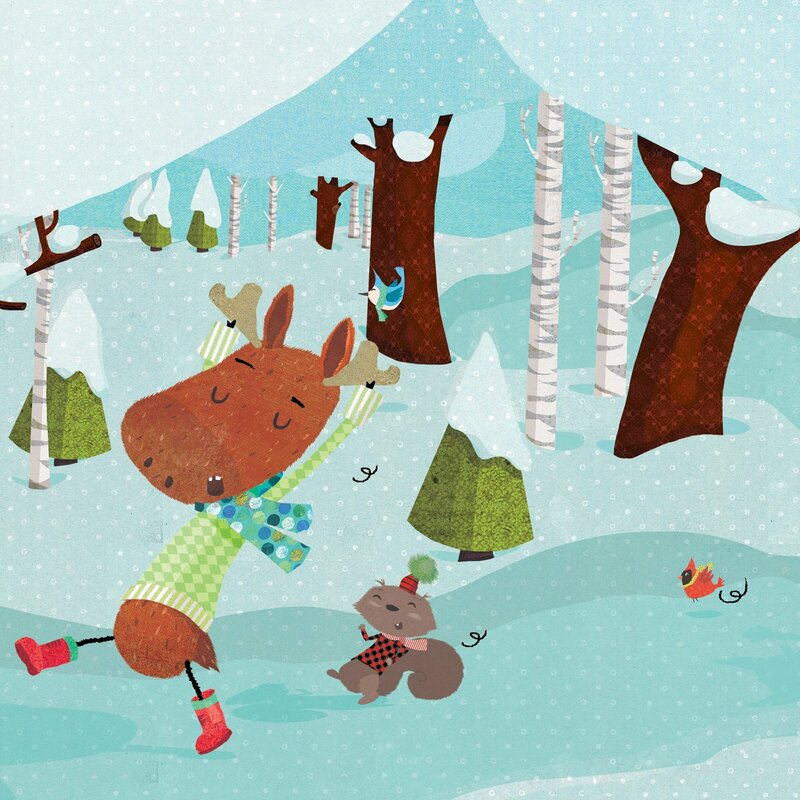 Louise is a member of the Writers Guild of Canada, CANSCAIP, the Canadian Children’s Book Centre and the Society of Children’s Book Writers and Illustrators (Canada East). CHRISTINE BATTUZ was born in France and received her Masters of Fine Arts at the Academy of Fine Arts of Perugia in Italy. Christine has illustrated over sixty children’s books, and has taught art to children of all ages. Christine loves camping near mountains and rivers – especially with her husband and their son. She currently lives in Bromont, Quebec, Canada. View more books illustrated by Christine Battuz HERE.